作者: The AsiaN Editor on 25 July , 2012. 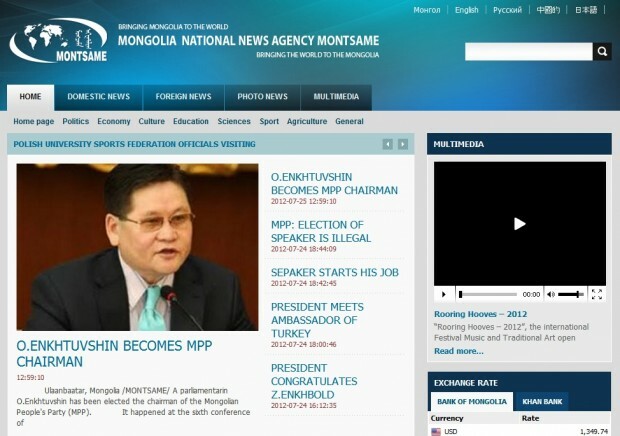 A parliamentarin O.Enkhtuvshin has been elected the chairman of the Mongolian People’s Party (MPP). It happened at the sixth conference of the party on Tuesday late evening. Mr. Enkhtuvshin took almost 90 per cent of votes of members. In addition to it, the MPP secretary-general and members of the Governing Council were discharged from posts. O.Enkhtuvshin becomes the 27th chairman of the MPP. The first chairman was Soliin Danzan; former presidents of Mongolia N.Bagabandi and N.Enkhbayar also served as the MPP chairmen. The party was established in 1920s with the name Mongolian People’s Party, several years later the name was changed in to Mongolian People’s Revolutionary Party. At the 26th session held in November of 2010, the party took back its original name.